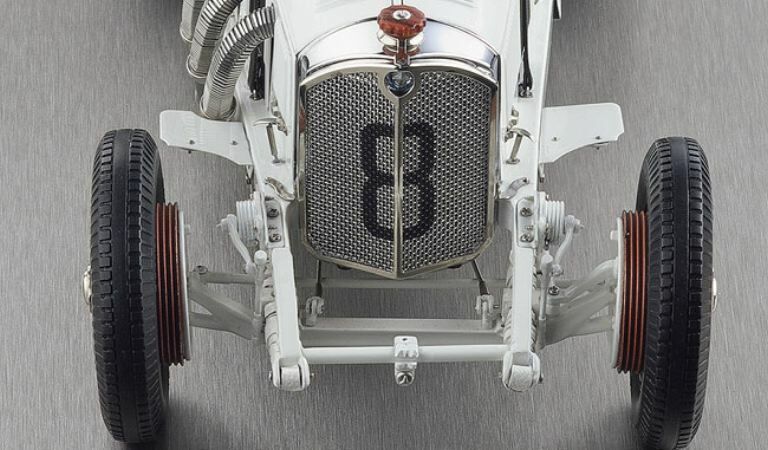 One manufacturer dominated the racing scene from the mid to the late 1920’s, and even in 1931. 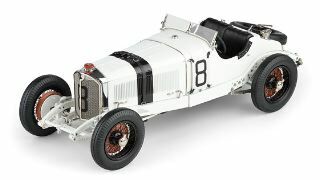 That manufacturer was Mercedes-Benz with its legendary supercharged models from the SSK series. The race cars of that period proved their performance in a variety of races. 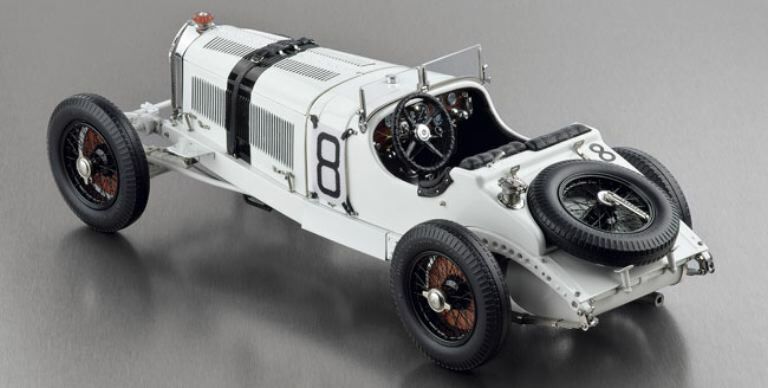 The Mercedes-Benz racers were called the “White Elephants” because of their overwhelming power and great size. That's how the victor of the GP of Germany 1931 looked. Rudolf Caracciola and his winning Mercedes-Benz SSKL, also known as the strong “White Elephant”. A perfect alliance of man and machine became a truly “dynamic duo”. 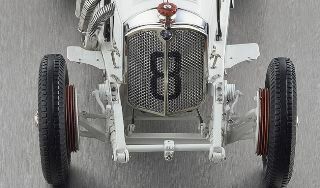 CMC has recreated this victorious race car, with starting number 8, true to the original. This most impressive model is limited to 4,000 pieces worldwide. The car just carried one spare wheel in this GP. The driver and his co-pilot had to refuel the car and change the wheels on their own. It took them only 1 minute and 4 seconds to fulfil that task. Not bad at all! Already back then, they removed all parts from that car that they didn't considered as mandatory. So they removed the lights and as well the fenders.